‘Paladins’ offers the possibility to control in first person a series of Heroes in team battles. The peculiarity in this case is two particularly interesting features: on the one hand, some personalization systems based on letters; on the other hand, its philosophy of monetization betting on the model of free-to-play on PC and consoles. ‘Paladins’ is a first-person shooter set in a fantasy world. Sense of humor and offers a high level of customization and strategy. Paladins are and will remain free. We will continue working to shape the game and improve with the support of an even larger community. We will have almost two dozen characters that go from wandering spirits to dwarves with turrets, but also see pert young short – haired scampering maps with a colorful aesthetic with touches of cartoon. Where I seen that before? The open beta of ‘Paladins’ is currently only available on PC through its web and Steam and comes with achievements in the platform from Valve as well as a special bonus that will allow us to add the appearance of the engineer ‘Team Fortress 2’ one of the characters. 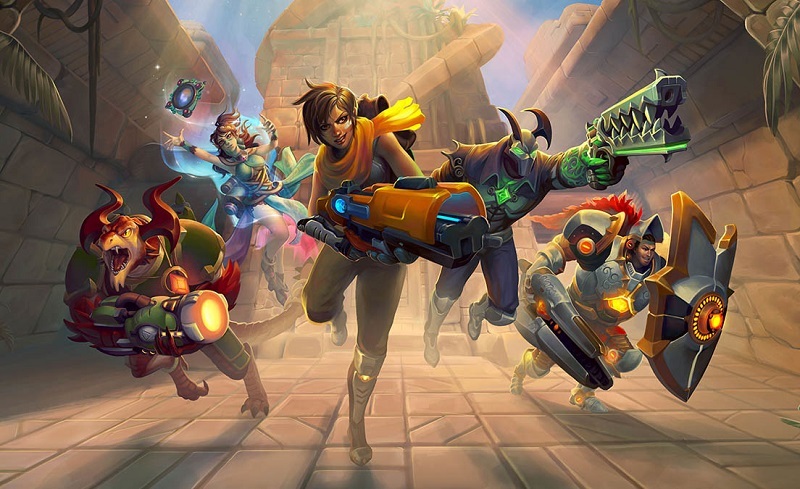 It remains to see what and how much they may offer ‘Paladins’ once the development process is completed, but is quite likely to consolidate as the free alternative to the successful FPS Blizzard, and that idea can work very well.